Consider either of the small, neutral molecules containing two Zn atoms below. 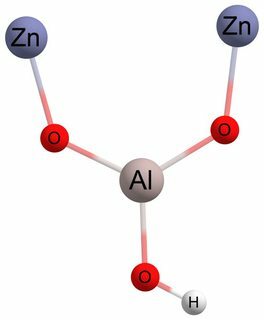 If I were to determine the oxidation state of Zn from this molecule, I would formally assume each Zn to be Zn(I) in order to balance the overall charge (if I give 2- for each O, 3+ for the Al, and 1+ for the H). I also assume that each Zn(I) has 1 unpaired electron as a result of this oxidation state. 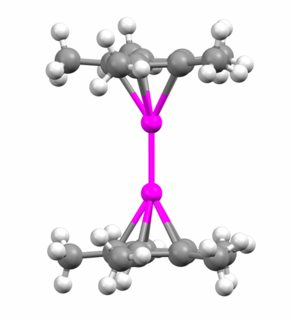 With this, I would assume that the molecule may have a triplet ground-state (putting aside the possibility of any broken-symmetry behavior for now). The left and right images are the result of density functional theory geometry optimizations where I set the multiplicity to be 1 and 3, respectively. I find the (closed-shell) singlet structure is lower in energy than the triplet by 28.7 kcal/mol, in contrast with the prior discussion. How can I reconcile these two conflicting notions? If I were to study reactions involving this molecule, do I assume the structure is a triplet because that's what the 1+ oxidation state on the Zn atoms would likely yield? Alternatively, do I assume that the structure is a singlet because that is what I calculated, even if that does not seem to agree with the oxidation state assumption? 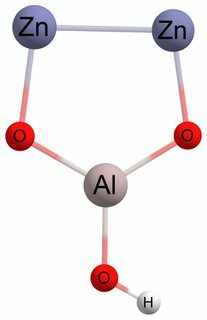 If the appropriate approach is the former, then perhaps the oxidation states of each atom is not what one would formally assign. If the appropriate approach is the latter, then perhaps since Zn does not tend to be in the 1+ oxidation state, there is some unusual change in the electron configuration to stabilize this structure. Computational details: this is computed using the M06-L functional, I have checked the stability of the wavefunctions, there is minimal spin contamination, both structures are local minima, and the trend holds true for other model chemistries. First reflex: As long as the calculations are otherwise reliable, I don't think you can ignore the possibility of a broken-symmetry/multiconfigurational solution. If such a solution ends up even lower in energy than your closed-shell singlet, I think you have your answer right there. Not the answer you're looking for? Browse other questions tagged inorganic-chemistry computational-chemistry transition-metals organometallic-compounds density-functional-theory or ask your own question.